So, thinks about trying out Archlinux. Anyone have a recommendation on a starting point? @hbdgaf give up while you're ahead? @Mateo Heh. I'ld be going with the LXQt route... but yes. There is plenty of crossover. @Zacharee1 After playing with FreeBSD for a couple years, I can't see Arch being any "harder" and the linux hardware support is sort of automatic. That was my chief problem with BSDs. From the looking around I did and what I saw, it was pretty polished and nice/sleek. Also, how did I not know about Rick and Morty? @hbdgaf To install it I warmly suggest you to follow the Beginner's guide at ArchWiki: wiki.archlinux.org/index.php/Beginners%27_guide, it's really well done. I was able to install it correctly at the first shot. Np. It's really well done in my opinion. @NathanOsman Well-ish. Progress on the card game thing - dbus adapter client server works. Reworking the game loop to not be a game loop... so it's a lot of adding state reporting and making sure the game is in the right state for a "move" or "board setup" to be made. When I finish that working, I'll also have a basic pyqt5 gui to run directly on the same box to connect to the dbus junk to play with it. The flask bit will come a little later to run more instances and run it as a web service. @Zacharee1 There's something similar for tags, but currently it's implemented only for wireless: meta.askubuntu.com/questions/14237/…. @HeatherBrown ugh. the popup works vertically with a somewhat ugly workaround on mobile, but the bottom gets cut off when the phone is horizontal. @Mateo both. The excerpt is the former, and the actual wiki the latter. So this tag needs a new excerpt. The Debian root CA must be included in one of the Ubuntu packages. Because it causes a CA error in Chrome for Android but not in Opera on Ubuntu. Note: the format for community ads has changed. It is now 300x250 (600x500 for retina). @ThomasW. got it on mentors.debian.net now and set it to "needs sponsor". > "Absolute limit on file size of 40 KB"
> "Must be GIF or PNG"
Q: How do I install linux ubuntu on hybrid drive? I have a dell inspiron 15z (5523) with 32GB SSD 500 GB HDD currently running windows 8. I need to install linux ubuntu 12.04 on the SSD and remove windows 8. Also I have another partition with all my files. Will this partition be formatted as well?? why does using Ubuntu feel like a rabbit hole of endless errors. Is it a way to keep people at their consoles? I'm going to try to get NitroShare into Debian before import freeze for Xenial. I have until February 18. Challenge accepted. @Fabby I have never lost it, nor will I ever lose it. If anyone has some downvotes left here is an answer that needs some! @Fabby Could you kindly review this answer of mine? askubuntu.com/a/721360/380067, basically I think the method is correct but I have this doubt: does MBR / GPT actually holds informations about the drive's size? 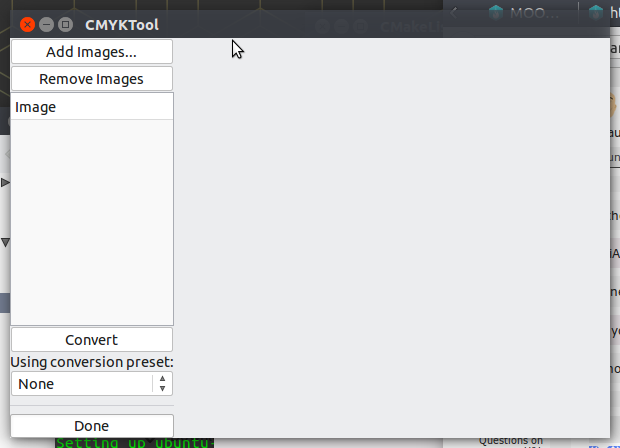 Or do tools query the drive's firmware for that information? Because in the first case tools reading the cloned drive would be tricked into thinking the drive has the original drive's size instead of the target drive's size. @Fabby Nevermind, don't know why I suddenly had that doubt. If that was the case most of the clones created with dd would have that problem. @ThomasW. That's why I am never here via my Phone. To buggy. StackExchange Android app already working on chat support? I am new here, kindly help. On booting from Ubuntustudio 15.10 32bit DVD. It stop by giving copyright line and after sometime EDD error. I tried booting from Fedora23 32 bit DVD, from which I installed Fedora 23. But now it also not working. Find the screenshots. If a version is now EOL, surely we should close old questions that have not yet been answered because the versions are no longer supported? Isn't 15.04 still on topic until the 4th though? But now that the version has gone EOL, I don't think we should carry on giving people with that version support. If they had asked after the version went EOL they would be told to upgrade in order to receive support and then the question would be closed, I don't see why we should give people with EOL versions support even if they asked the question before support ended for that version. Why not just tell them that it's EOL and to upgrade in order to carry on receiving support and then just close the question? I don't know, leaving old ones open has just never made sense to me. And there seems to be some difference of opinion in the community about this because I see so many old EOL questions being closed even though they were asked before the version went EOL. is there some issue with openssl in ubuntu? @deostroll: You're going to have to be more specific than that. @deostroll You sudo pip installed? You need the rc2 of m2crypto, the standard version is knackered. now the test actually fails. How can I check the percentage of my microphone volume (as set in the settings) from Terminal? @Oli: Is this a reliable method? And how do the settings check it? @Oli: What are you confused about? I don't understand either part. It's talking directly to pulseaudio so it's as reliable as Pulseaudio... And what settings? 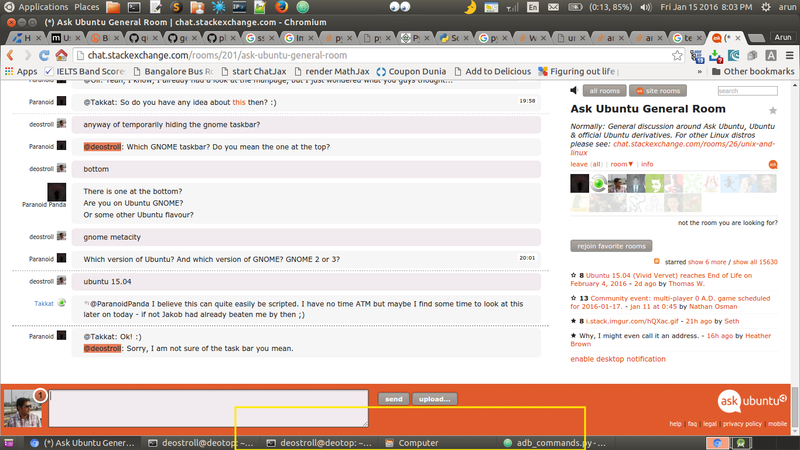 @Oli: In the gnome-control-center section called "Sound" it tells you the current volume level for any input devices. And also allows you to change them. @ParanoidPanda That's probably talking to PA directly too (via dbus or somesuch). Say I have two input devices, one currently in use, the other not, but could be used, so if I had an in-built microphone and an external one plugged in, would the command you gave tell me about both of them? That will list all sources, yes. You can (man pactl) do number-based filter but I'm not sure how reliable that is, so you might need to do something clever based on the names of the sources. I still don't see why... @ThomasW. @Oli: And how can I change the volume of those devices from Terminal? A: Should we allow questions that are about releases which are considered End of Life? @ParanoidPanda Bring it up in Meta if you have concerns. anyway of temporarily hiding the gnome taskbar? @deostroll: Which GNOME taskbar? Do you mean the one at the top? There is one at the bottom? Are you on Ubuntu GNOME? Or some other Ubuntu flavour? Which version of Ubuntu? And which version of GNOME? 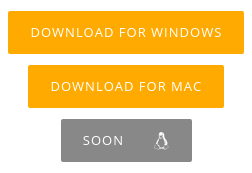 GNOME 2 or 3? @deostroll: Sorry, I am not sure of the task bar you mean. @deostroll: Why don't you ask on the main site? @deostroll: Oh that thing, so you're on GNOME 2 then. I don't think there's any way of getting rid of it other than upgrading to GNOME 3. I am sure that the question has been asked on AU before though. @ThomasW. : Why do you always have the role of announcing EOLs? Why doesn't anyone else ever do it? @deostroll: Do you want to hide it or remove it? @deostroll: Yeah, I don't think that is... But then it's been a long time since I ran GNOME 2 and I never really looked into auto-hiding, but rather just complete removal. @Fabby think you could manage recreating the chat ad for the new year? The requirements have changed a bit. @Seth I sent you a mail a week ago ... didn't you see it ... or do you have too much to do ? @cl-netbox I saw it, but I haven't really thought about it. Anyone want to touch this one? I can give you a 10 foot pole. I don't see a need to talk on hangouts. We can talk just fine here, or if you need to discuss moderation issues we can make a private room. @HeatherBrown replies please :P I'm guessing you are referring to the Q I linked? @Seth there are known breakages - it's a "Upgrade directly at your own risk" thing. @cl-netbox go read /r/Ubuntu and all the other Ubuntu message boards - identify how many users ask basic basic questions that they could answer EASY with Google. Then determine how many of those people are likely new users. Equate "New Users" with "Lazy" in 95% of cases and you then know how many people don't know what us power users know. @ThomasW. That just wanting things to work and not know how it works sounds like the majority of Apple's client base to me. @ThomasW. True! But my background I got to repair many different types of systems, Apple, HP, Compaq, Toshiba, etc. And the customer base that seemed the most frustrated when things went bad was the Apple customers. That is actually why I despise the term "It just works!" Wound up installing Arch with architect. painless LXQT install. Tweaking to begin soon. @RPiAwesomeness : Hi ! :) Did you try my solution to get the GTX 860M issue solved ? @cl-netbox I've been busy with school recently, so I haven't been able to help my friend. I'll definitely let you know if it works out. @RPiAwesomeness Please tell him to repeat everything and set the parameter nomodeset instead of nouveau.modeset=0 ... the solution I gave you is proven to work in nearly all of the cases ... maybe there is something wrong with the basic system installation. @RPiAwesomeness Aren't you supposed to be in school? @ThomasW. he said he uses crouton. gameing on wine on a chromebook chmod?? Hey guys, this might be a stupid question but is it possible to get an old linux app to work with a newer os? Ooo...you can do it JS. That's gonna make it way easier to develop stuff. I need to learn Go. The Gnome Software Looks like a good replacement, can't wait for it to reach the stable! @blade19899 The new software center on 16.04? how do you force an install of an old package?